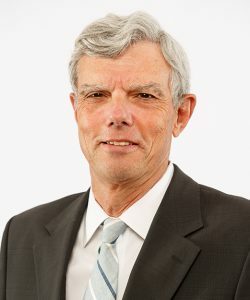 Dr. Robert (Bob) Howard, President and CEO of St. Michael’s Hospital since 2009, is a cardiologist known for bringing a comprehensive quality improvement (QI) program to the downtown Toronto academic hospital. He embedded a QI philosophy in the hospital’s strategic plan championing work related to the six Institute of Medicine dimensions of quality: improving safety, patient outcomes, access, patient-centredness, equity and efficiency. This effort has set the benchmark for hospitals, and has allowed staff to continue to foster and build a culture of quality improvement that spreads outside of the institution’s walls. Under Dr. Howard’s leadership, St. Michael’s officially opened two linked buildings—the Keenan Research Centre for Biomedical Science and the Li Ka Shing International Healthcare Education Centre—that together form the Li Ka Shing Knowledge Institute. This innovative facility brings the worlds of health sciences research and education together to advance patient care. The hospital has begun construction on a 17-storey patient care tower, with expected completion by 2018. This will culminate in the major revitalization of the hospital’s academic and patient care facilities. Prior to his appointment as President and CEO, Dr. Howard was the Chief Medical Officer and Executive Vice-President of programs and education at St. Michael’s. Dr. Howard has an undergraduate degree in industrial engineering from the University of Toronto, a medical degree from McMaster University and an Executive MBA from the Richard Ivey School of Business. He is a professor of medicine at the University of Toronto and is a board member for the Healthcare Insurance Reciprocal of Canada (HIROC) and the Health Force Ontario Marketing and Recruitment Agency (HFO-MRA).